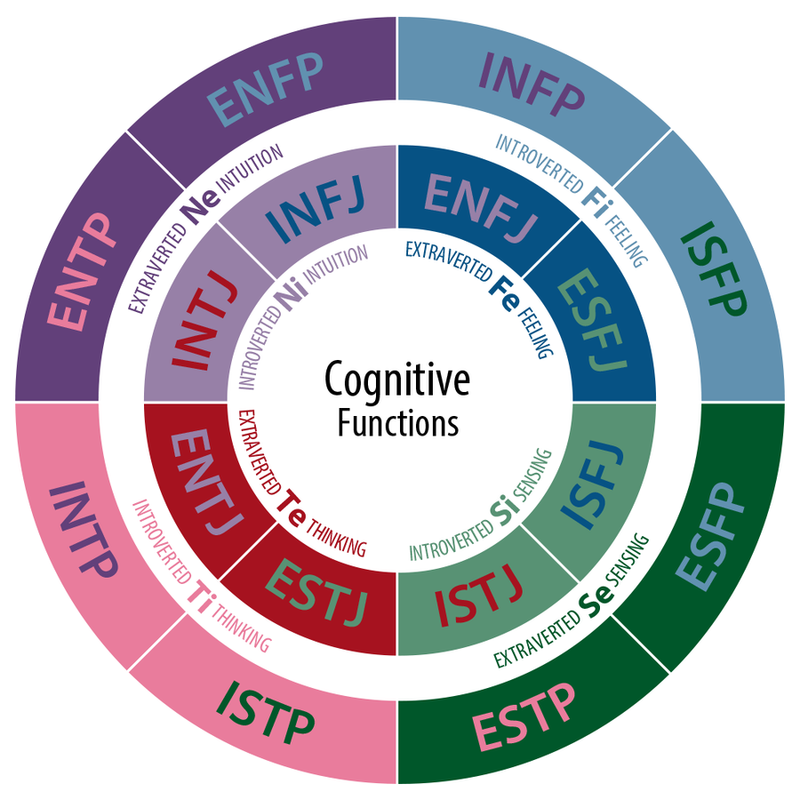 MBTI Cognitive Functions Diagrams by Jake Beech. Source: Wikimedia Commons. Now, after a lame introduction about myself that God knows who will read it, the first thing I want to talk about is…. *drum-roll*… MBTI. In Indonesia, MBTI or Myers-Briggs Type Indicator, is not so much widely spread or even known to High School students, or, well scholars. Only those Psychology Faculty students, maybe, know about it. And some geeks. Like me. The MBTI itself is still being debated on its, err…. empirical nature. Last time I checked here, it was a theory proposed by Jung and later developed further by Katharine Cook Briggs and her daughter, Isabel Briggs Myers. Hence the name, Myers-Briggs.